With the improvement of the level of mass consumption, more and more ordinary people use suits as daily and work clothes. One of the important principles for selecting suits is “fit”. Others such as Business Suiting Fabrics and workmanship are in this Based on the consideration. But when you learn more about suits, you will find that the real suit experts are more concerned about fabrics. You should know that the fabrics are valued by the suit masters and used as a selling point by the big brands. It must not be unfounded - all worthwhile considerations are also good for work. It is definitely not a problem here, so whether a suit is worth buying, most The key factor is the fabric quality of the suit. The standard of fabric quality, although not entirely in its composition, is one of the most important factors that affect the suit's ready-to-wear effect. The pure wool fabric can make the suit stiff, drape, and not easy to wrinkle; although the anti-wrinkle performance of linen is poor, it is also this characteristic, making the linen fabric suit more suitable for casual suits, and it is easier to create a leisurely holiday feeling. .
We have Wool Suiting Fabric for you. If you want to know more about suit fabrics, you can contact us and we will provide you with suit fabrics according to your needs. 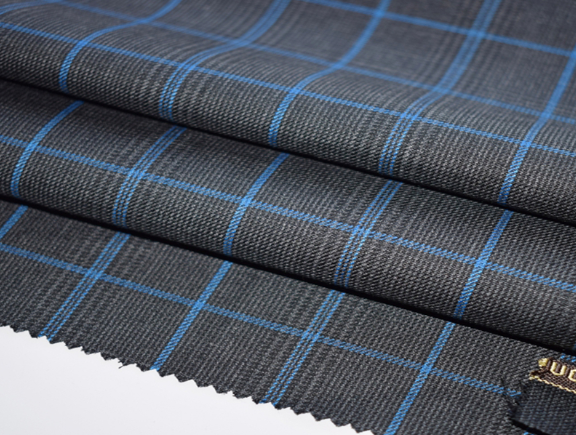 Next: What Is The Difference Between Twill Wool Suiting Fabric And Woven Uniform Fabric?